“It was definitely a tough decision,” Edwards said. 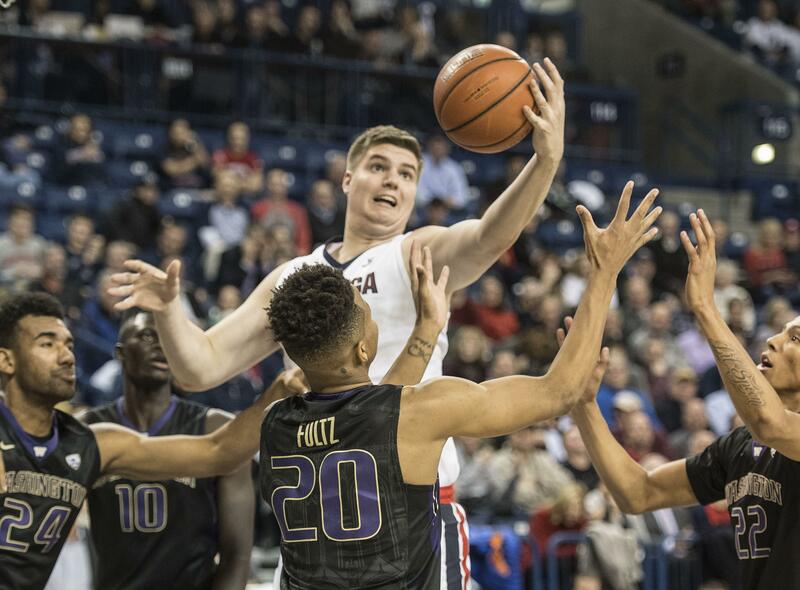 Gonzaga lost starting center Przemek Karnowski to graduation and freshman standout Zach Collins, who declared for the NBA Draft and signed with an agent. Forward Johnathan Williams has decided to test the NBA waters but will not sign with an agent, maintaining the option of returning for his senior year. Freshman Jacob Larsen, who sat out last season with an ACL injury, is the only center on the roster. The 6-foot-9 Williams, if he opts to return, is a natural power forward but he did see limited minutes at center last season. Edwards recently completed his redshirt junior season. The 7-1, 295-pound center from Kalispell played a career-low 48 minutes in 17 games this season. He saw action in 31 games as a sophomore, averaging 2.6 points and 2.2 rebounds. Published: April 23, 2017, 9:30 p.m.